*Originally written and posted to Facebook on September 19, 2015. ​I believe that a “soul mate” is a mirror. By looking into this mirror, we see ourselves clearly, without judgment or disrespect. We are forced to acknowledge that our faults and flaws are our own and that we are ultimately responsible for dealing with our own issues. Many people are only able to be with their soul mate for a finite period of time because constantly peering into the mirror is exhausting and draining. Our soul mate isn’t only responsible for stroking our ego and telling us how wonderful we are. The functionality is much deeper. We choose to see ourselves as our soul mate sees us so we can begin to face our fears and self-imposed limitations…and ultimately overcome them. Do you believe in the concept of a soul mate? 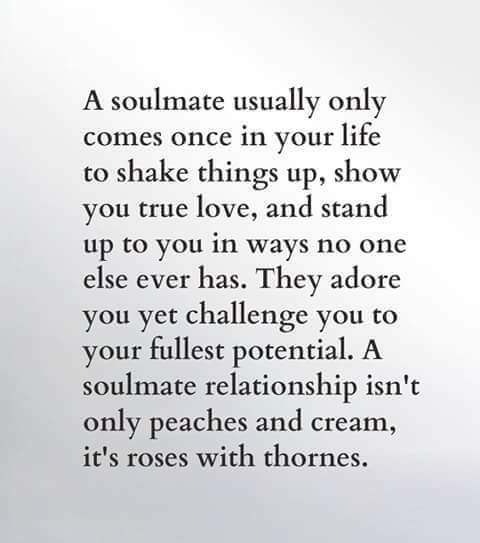 If so, does your definition match up with mine…or is a soul mate something entirely different to you?